The aid station was soon to be in view. The spell would be broken with its arrival. Skeletal trees hemmed in the muddy single track and wet leaves obscured most rocky foot placements. Wittenberg Mountain’s steep, ledgy flanks rose behind me along with sentinels Cornell and Slide Mountain standing head and shoulders above the central Catskills. There was a lot on my mind racing this, my second consecutive Cat’s Tail Trail Marathon, and conditions were much drier last year. This year however, I was racing in the new Salomon S/Lab Sense 7’s and the shoe was eating up everything this soggy mountainous course threw at it. 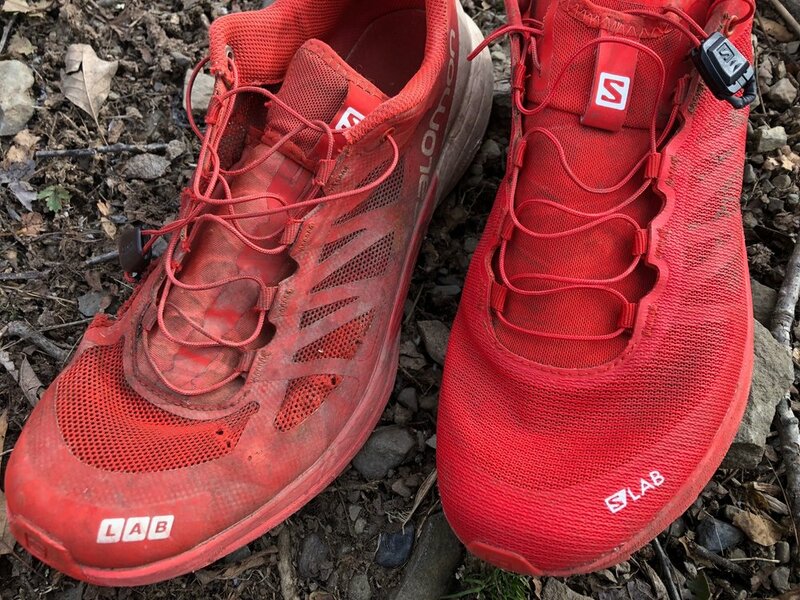 I have been a staunch admirer of the S Lab Sense line since wearing the Salomon muddier S Lab Sense 5 SG (SG - soft ground) for some shorter trail races in the northeast. This past year I happily donned the S/Lab Sense 6 (FG - firm ground) for all trail races. It is a lower drop, minimal shoe with little cushion. In short, the Sense SG and FG are trail racing shoes that are paired down to just the essential elements required for fast trail racing. This is a review of the Salomon S/Lab Sense 7 FG and it feels like a race car when you put it on. A single word comes to mind when I am asked to describe the shoe, precision. The Sense 7 has a 4mm drop; 18mm of cushion in the heel and 14mm in the forefoot. Beware: you will feel the ground in this shoe! For those feeling sensitive about this, have no worries, as the shoe does come fit with a thin but surprisingly burly rock plate that Salomon dubs their Profeel Film. Though thin, the Profeel Film does a great job protecting runners by moving with you while protecting your much-abused paws from the typical rocks and roots in the trail whilst maintaining exceptional proprioception. Racing in the US northeast, we all need some sort of defensive rock protection in a shoe and the flexible but firm plastic weave of the Profeel does a great job. Though it may not sound like much, one phenomenal change from the S/Lab Sense 6 to the 7 is a lighter shoe. The Mens Sense 7 in a US 9 weighs in at 7oz where previously the Sense 6 clocked in at 7.6 oz, which equates to 8% drop in weight! Geez, maybe I can drop 8% of my weight in 2019! Upon inspection, one way Salomon dropped weight in the new 7 was with the removal of the insole in the shoe. Some may begrudge the engineers and I’m still not sure how I feel about it but so far so good. At least one positive is that it’s one less thing to move around during a wild, sustained downhill bomb-track. It also appears the materials used on the non-removable sole and Sensifit tongue are hydrophobic, keeping the shoe lighter than previous versions in wet races. Directly out-of-the-box the most noticeable difference from the S/Lab Sense 6 to the 7 is a change in the outer. Salomon has moved the former outside banding supports of the Sense 6 and cleverly protected them under the new more durable and porous upper. The material of the porous upper has held up well so far compared to that of the 6 which typically lasted me approximately 3 marathon races. Some may hazard that durability is the Achilles heel of the Sense 5 & 6 shoes, that historically it doesn’t hold up to gnarly, rocky course conditions and I would formerly tend to agree with that view. Though, after the relentless gnar that the Cat’s Tail doused the 7’s in, and the abusive testing on rugged trail runs thereafter, they still look basically new. This is an amazing change that I’m really psyched on. Change in the upper and banding location in the S Lab Sense 6 (left) and S Lab Sense 7 (right). One attribute that stays the same from the 6 to the 7 is Salomon’s Sensifit, which should be highlighted and can best be described as an inner sock (picture: the tongue wraps around your foot all the way to the midsole) which secures your foot in the chassis of the shoe from midsole to lacing system providing a form-fitting and secure fit. It is a feature I believe all trail running shoes should have as it Sensifits my pretty-wide foot second-to-none. My foot does not move in this shoe, period. Additionally, the Sensifit helps to keep dirt and small rocks from getting inside the shoe against your sock, which subsequently hinders the dreaded blisteritis. Another piece of the shoe that also stays the same is the lacing system. The lacing is made of a durable, non-stretchy material that comfortably locks your foot from heel to toe into the shoe. I love the lacing system on the Sense 6 & 7’s and literally have never had to loosen the shoe or tighten it down a second time during a race or run. A detail of small note that did change, that I feel ambivalent towards is that Salomon moved the lace garage to the top of the tongue where previously it was on the bottom of the tongue, it’s fine either way. A word on fit. The Salomon S/Lab Sense 7 (FG) is not to narrow or too wide, in short it fits my foot like a golf glove. I prefer not to wear some other brands because they just run too narrow for my foot. I recently purchased the Salomon Sense Pro 3’s in the same size (43 1/3) and was surprised how noticeably more narrow, even uncomfortable at first on my wider feet they were compared to the 7’s. This was unexpected since the Sense Pro 3’s were based off and made as a more affordable version of the Sense 7 SG (soft ground) which is very similar with different lug size, pattern and contragrip formula (see Matt Lipsey’s review of the Sense 7 SG here). I find the S/Lab Sense 7 forefoot to be slightly wide but not crazy wide and the heel lock is unmatched in my experience. 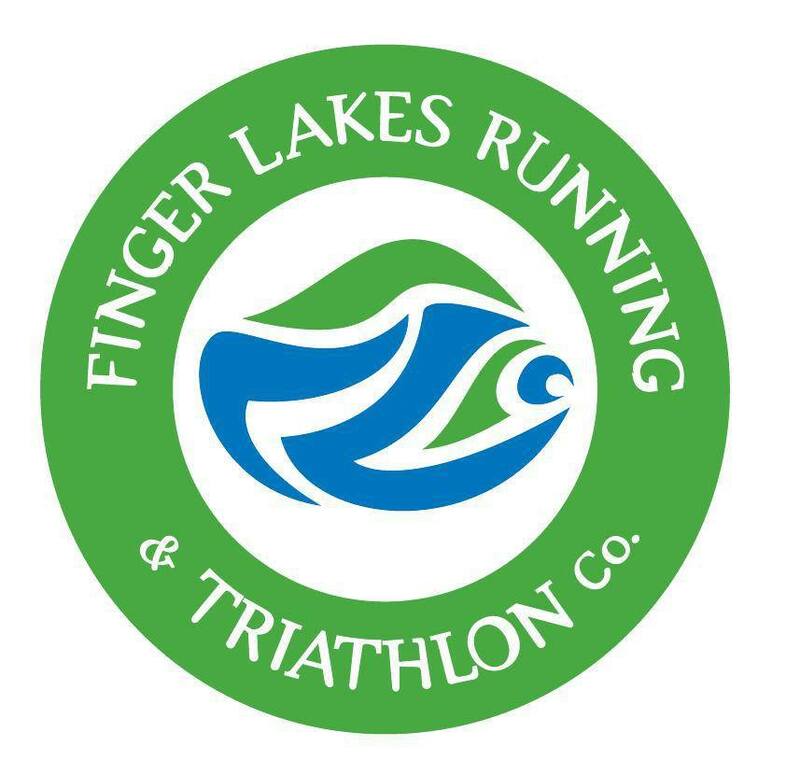 The Cat’s Tail Marathon is a highly recommended, rocky, muddy, technical trail race over 3 of the highest peaks in the Catskills of NY and the Sense 7 absolutely dominated the wet, muddy, rock strewn trails. Where there wasn’t mud, trails babbled as clear ephemeral mountain streams. Where there weren’t streams or mud there was slippery sandstone slabs and intimidating rocky drop-offs. The Contragrip soles stuck like glue on all surfaces. Smashing down streams and creek crossings the Sense 7’s drained well all day keeping my feet lighter than my competitors and the new outer held up much better than the previous iterations through many minor trips and a nearly 5 hours of glancing blows. Overall, in my opinion, this is one of THE very best, fast trail racing shoes on the market. I believe the changes made from 6 to 7 were all in the right direction, most notably the tougher outer and lighter weight. Though it is pricey at $180, the technology and limited release of it justifies the price to Salomon. Another con for some others may be the minimal cushioning, this means that the Sense 7 might not be enough shoe for some racers. That said, I encourage all interested to give the snappy 7 a test drive. I’ll definitely be using the Salomon S/Lab Sense 7 as my avid trail predator for all my trail races 50k and under in 2019. It is a paired-down speed demon that feels fast as soon as you lace it down. Thanks for reading and see you out on the trails!